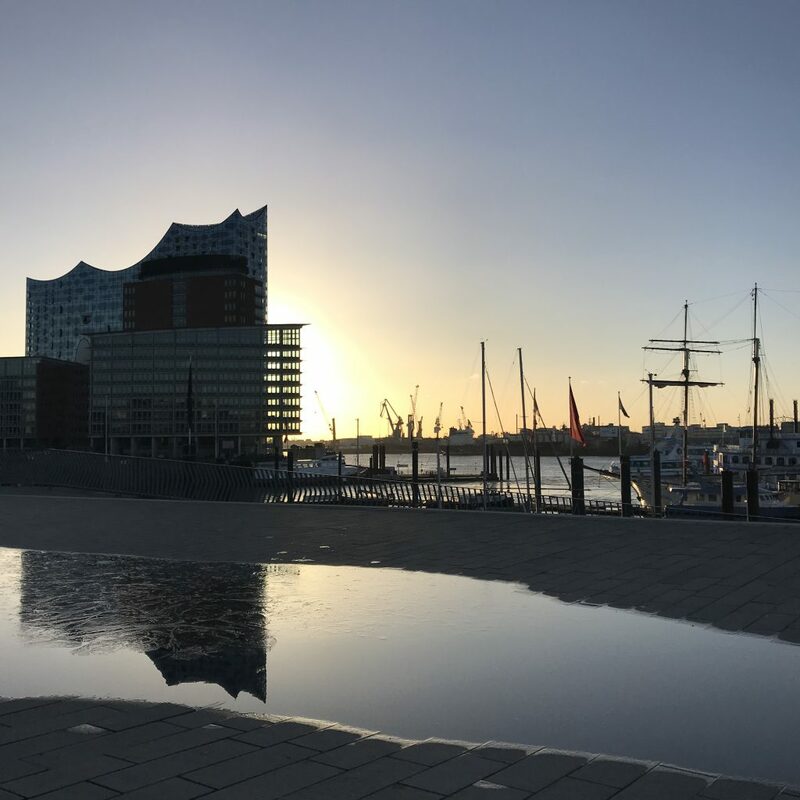 There is a theme these days: one of Hamburg’s most famous sights, the concert hall called Elbphilharmonie. 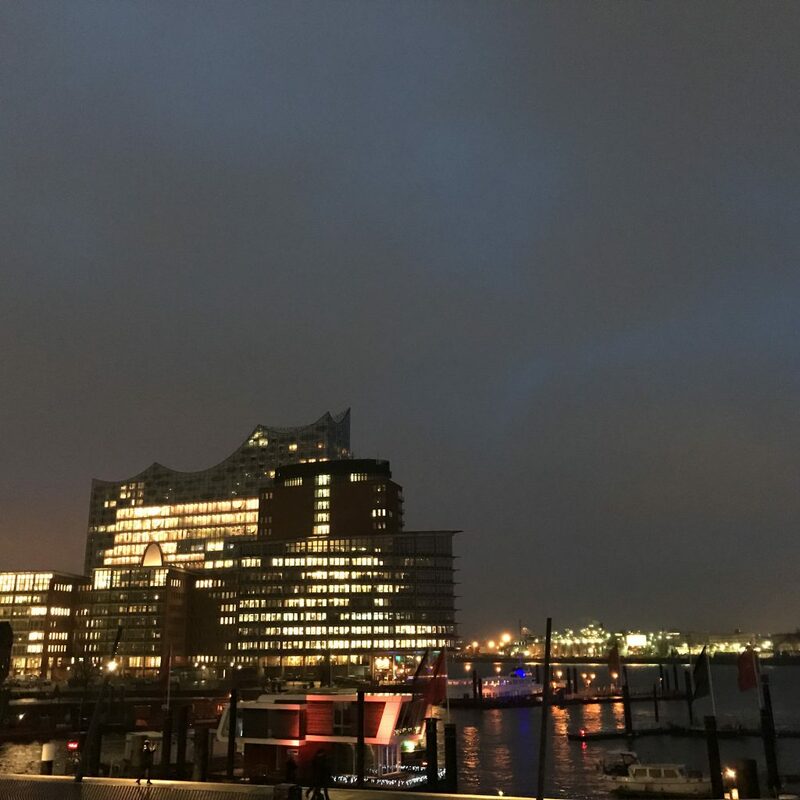 And not only is it a pretty impressive buildings, it’s located right at the port of Hamburg, and, more importantly, right across from my new work place! Yesterday morning there was a lot of ice on the puddle in front of it (above), this morning, by the time I got there, it was crushed (below). And when I left tonight, there was some drizzle in the air and I did not feel like checking on the puddle. 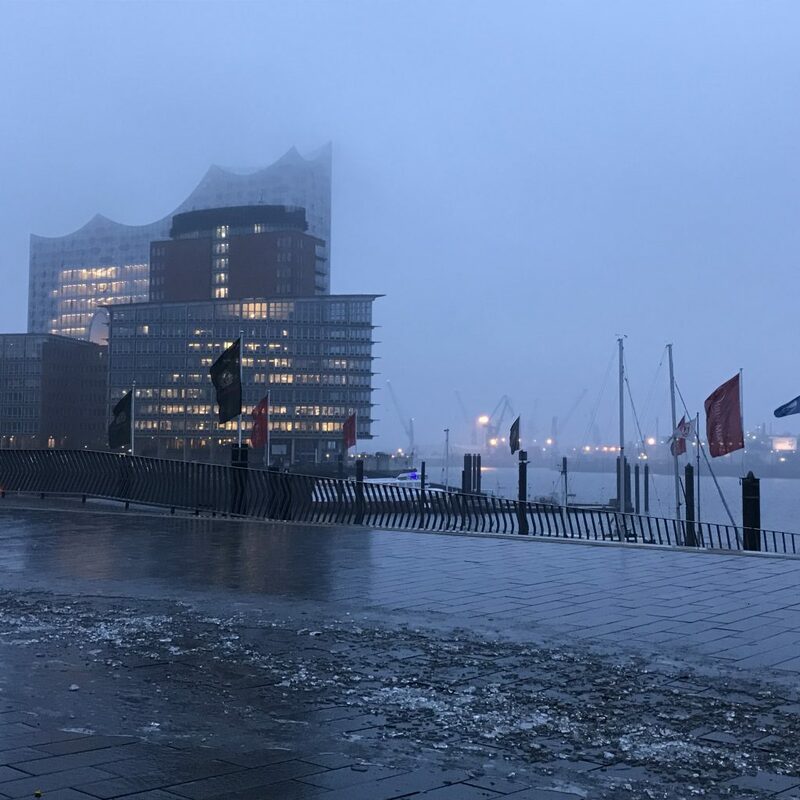 This entry was posted in observation, wave watching and tagged Elbe, Elbphilharmonie, Hamburg, Port of Hamburg on January 4, 2019 by mglessmer. 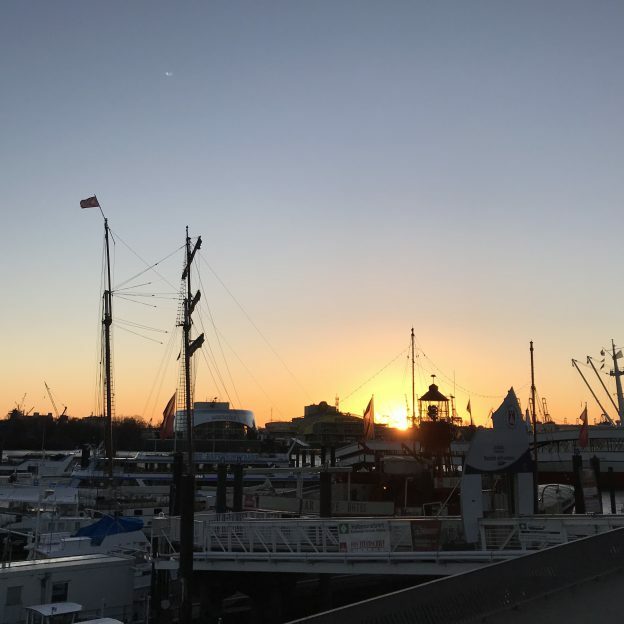 From dawn til dusk (which wasn’t actually as long a time as it sounds ;-)), first day in my new job as programme manager of the citizen science project on biodiversity “GEO-Tag der Natur“. I am looking forward to great views on the way to and from work! 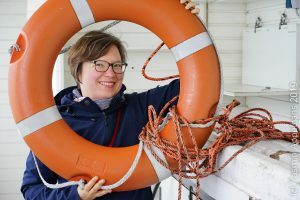 And I am suuuper excited to be starting this job! I will tell you more about it once I had the chance to settle in a little. Even though wave watching is not part of the job, I could not help but notice those puddles. 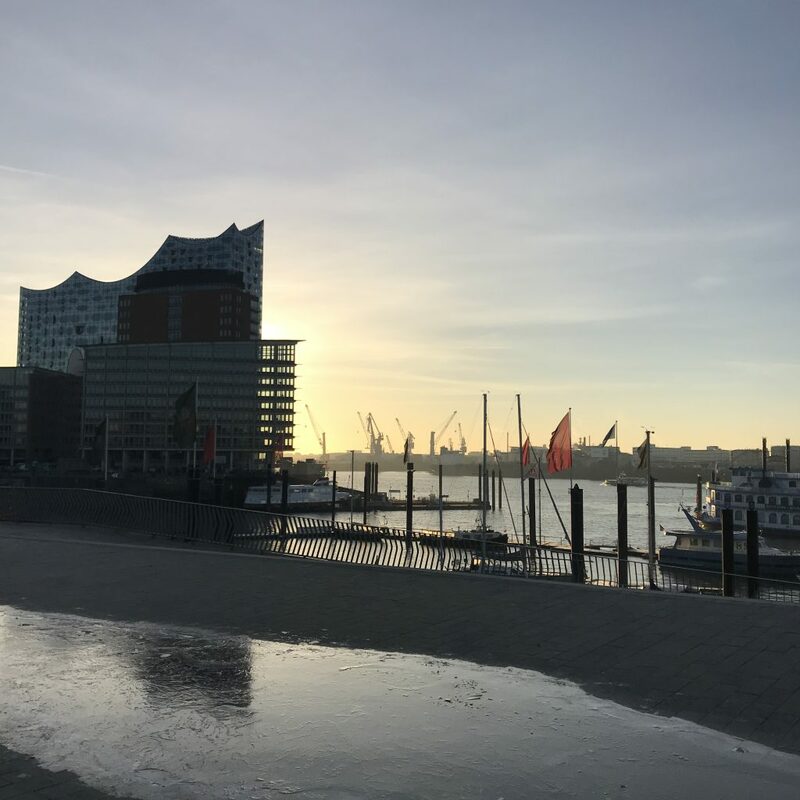 Not only because of the reflections of Elbphilharmonie on them, but because when I arrived there was a little ice on them (see above)! Which was gone when I left, but there were some tiny wind ripples (see below). Which one do you think is more beautiful? I can’t decide! 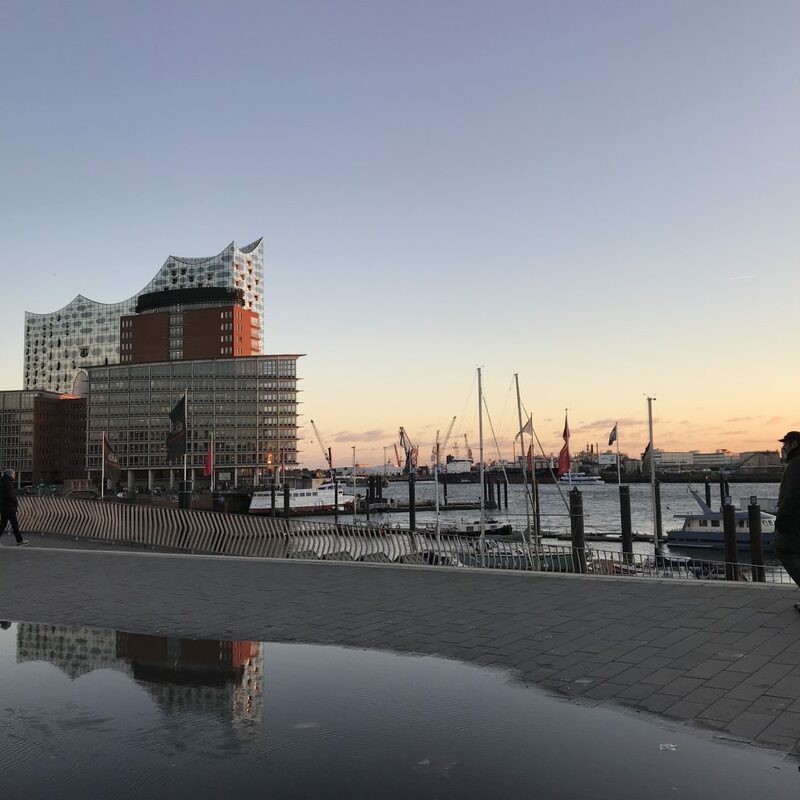 This entry was posted in observation, wave watching and tagged Elbe, Elbphilharmonie, Hamburg, Port of Hamburg on January 2, 2019 by mglessmer.